"The company that manages to stream music via fax will dominate the Japan market." That was how a cheeky Twitter user called Shogannai summed up the struggle that streaming content providers face in Japan. He was alluding to a curious fondness among many Japanese for old-school media. Not only is Japan one of the last redoubts for the fax machine, where it's used for both household and business communication, even telegrams are still seen by companies and families as a nice touch for a special occasion. And don't even dream of making a good impression without a stack of business cards. Clinging to the past clashes with Japan's image of being a high-tech society of robots and bullet trains. But for companies offering streaming services in Japan, it can be an uphill battle. In Japan, physical media still account for 78 percent of music sales, the highest proportion of any major market, according to a report on global digital music by the International Federation of the Phonographic Industry (IFPI). Google Play Music is coming to Japan -- but the Japanese are strangely resistant to the lure of streaming music, still preferring to buy physical CDs. Sales of CDs and DVDs have been falling in Japan, but so too have sales of music downloads to mobile phones, according to Atsuro Sato, an analyst with Gartner Japan. Mobile carriers such as NTT DoCoMo and KDDI now have millions of subscribers paying to stream music to their smartphones, but they're facing new competition. Streamers are trying hook music fans with sweet deals. 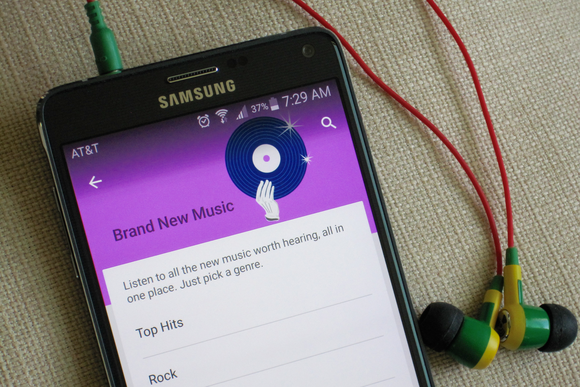 Google Play Music recently launched in Japan, years after entering overseas markets for music streaming. It's offering millions of songs for a flat rate of ¥980 (US$8.18). That's also the price that recent entrant Apple Music has set for individual subscribers in Japan. It just undercuts the ¥1,000 monthly unlimited packages for tunes offered by dominant messaging app Line, known for its cartoonish sticker characters. "There is argument about how many consumers will continue with paid services," Gartner's Sato said, noting the moves by global and local streamers to shake up the market. "Lots of consumers enjoy free music clips on YouTube." Other big companies, notably Spotify, have stayed away from Japan. Some reports have speculated that it has been unable to strike deals with the Japanese music industry. Because Spotify isn't in Japan, the country isn't on a list of 41 regions where streaming music is available through Sony's PlayStation network, the successor to Sony's Music Unlimited service, which was shuttered earlier this year. Meanwhile, streaming video services are also proliferating in Japan, but there has yet to be a standout winner. Netflix is one of the latest entrants, offering plans from ¥650 and one month free viewing. Amazon is also bringing its Prime Video to Japan this month, featuring U.S. and Japanese films, TV dramas and animation. But the recent history of the video industry doesn't stand in Netflix's favor, according to some observers. "Hulu effectively gave up after less than three years and sold out to Nippon TV in February 2014, so that could be a harbinger for Netflix," Gavin Blair, a journalist who covers film for The Hollywood Reporter, said via email. “One worries that global streaming content may be a bit like the overseas cable TV content one can get in Japan," Christian Howes, an analyst at SMBC Nikko Securities, said via email. One advantage that Netflix may have is an alliance with mobile carrier SoftBank that allows SoftBank customers to sign up and pay for Netflix through their smartphone accounts. The carrier will also offer the Netflix app on its phones after October. However, SoftBank already offers its own streaming service, Uula, which provides access to music, movies and TV shows for ¥467 a month.